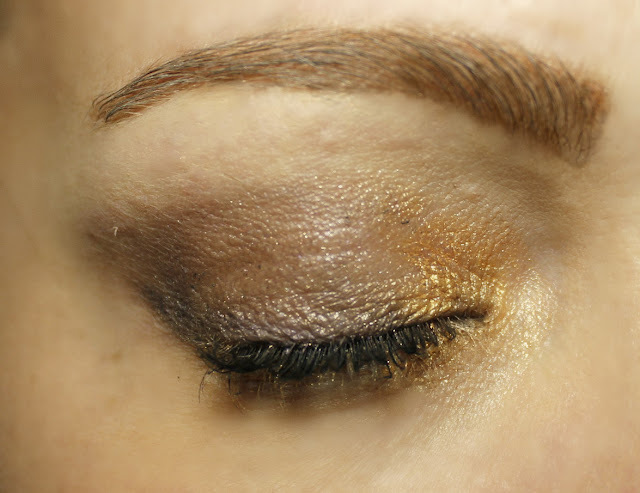 Today, I am bringing you a look made completely by Rimmel London. I love their SCANDALEYES lines so when I saw 3 products from it, I literally squeed! 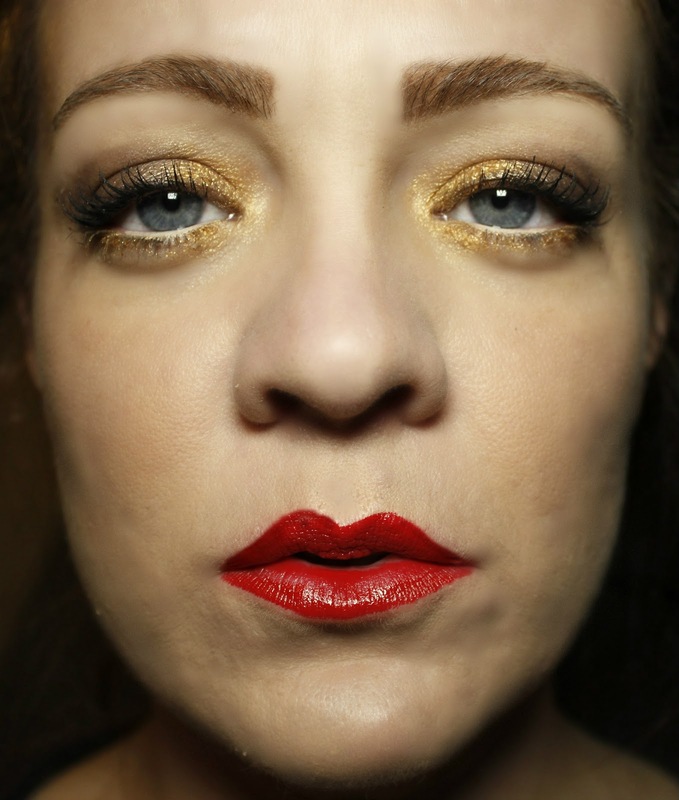 As you may or may not know, Rimmel London is readily available at most drugstores and big-box stores. You can also find a couple products at Ulta if you are a die-hard beauty store person. Trust me, these drug-store brands have been putting out awesomely great products lately for not-a-lot of money and I have a couple of them to show you, tonight! First up, I have the LASTING FINISH 25H FOUNDATION WITH COMFORT SERUM. This foundation claims to be smudge, heat and humidity proof for up to 25 hours!! I wore this several times since this look and I love it! I really does stay for a very long time! The shade I have is Classic Ivory, which is a little light for me. I added a little of some color concentration drops that I have in a darker color and it corrected it right away. I didn't use it for these pictures because I didn't want to do anything to do the formula but it didn't do anything different. I love this for a full coverage foundation. 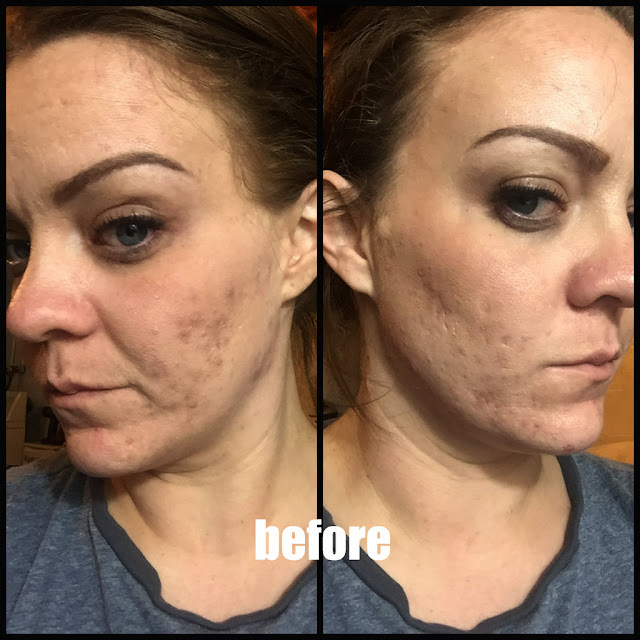 Most of you know that I have some adult acne issues and this is fantastic for full coverage ALL DAY LONG! Next up is the NATURAL BRONZER. I got this in the shade Sun Bronze. This is a waterproof bronzing powder that adds just the perfect amount of color to your face or my colorless face...lol. Although this color is fairly light on me, it's not far off. I am a naturally light skinned person, so I do like to add a little contour to my face just to add a little color. Next, I have the SCANDALEYES SHADOW STICK. I am in looooove with these. I have tried a couple different brands and sometimes these shadow sticks are super hard to work with. Either they dry out really quickly or they are super smushy. These apply really nicely and blend just as nicely. I actually used a brush to blend these. These have a 24 hour stay and are waterproof. Keep that in mind because they are tricky when removing. DO NOT EVER PULL OR SCRAPE ANYTHING OFF OF YOUR LIDS!! Get a waterproof makeup remover. I have the colors Gold Digger and Paranoid Purple on today. 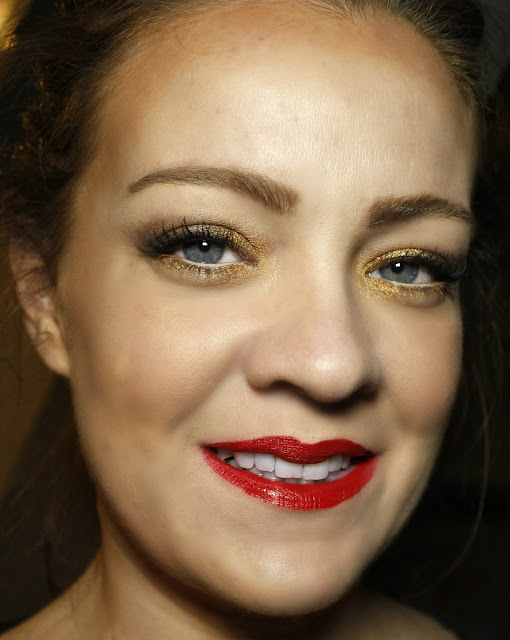 SCANDALEYES XXTREME MASCARA is what I am rocking next. I actually have several SCANDALEYES mascaras because RIMMEL LONDON happens to be one of my favorite drugstore brand mascaras. They consistently put out fantastic, cost effective mascara. This is in the color Extreme Black. The brush on this mascara is fantastic! If you check out my Snapchat story (SZIZZY12184) you can check out all the sneak peeks I have coming up. I posted a couple pics of the brush. I am sure I will be showing it off again!! It's pretty awesome. Anyway, The "dual impact brush" volumizes and lengthens". Last BUT not least, I have MOISTURE RENEW LIPSTICK in the color Red Alert. This is such a hot color and I love the way it looks on me. Packed with Vitamin A, C and E this lipstick makes your lips feel lightweight, moisturized and look fantastic! My lips didn't dry out all day and makes for an easy reapplication. Overall, I love these products. 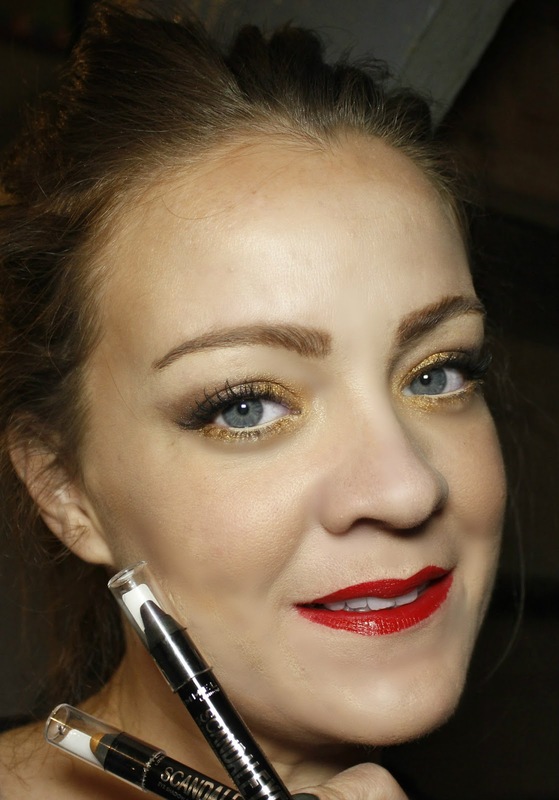 I am so glad that I got to try the SCANDALEYES EYE SHADOW STICKS as well as the SCANDALEYES MASCARA. Both will be rebuys for me since they are very price friendly and very easy to use. What do you think of this look? 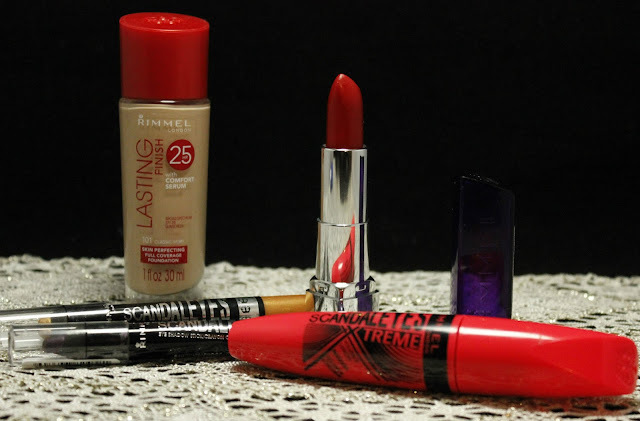 Do you own any Rimmel London products? Do you have any favorites?